Danny Meyer, the 30 year-old NYC restaurateur behind Shake Shack, made a huge announcement last week at the TableTech Summit that has created a buzz in the restaurant community. When Meyer’s hallmark restaurant Union Square Cafe reopens later this month all managers and sommeliers will be sporting a new accessory: the Apple Watch. This isn’t merely a fashion statement. 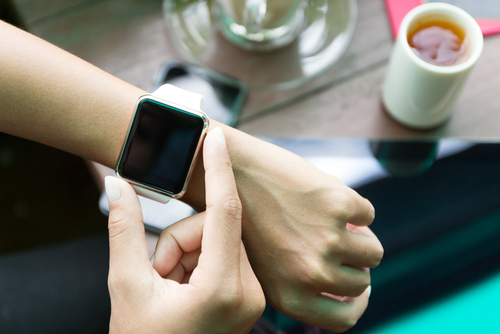 Meyer has kicked off a program in which wearable tech will integrate with his new POS system. Meyer will be implementing a new POS system from Resy, which will alert any managers or sommelier to important issues throughout the restaurant in hopes of saving steps and increasing efficiency to the dining experience. All alerts will be through an app that is accessible form mobile technology. Managers can send an alert to coat check when a table is preparing to leave so that the coats are ready as they exit. When a bottle of wine is ordered, the sommelier is immediately alerted and can bring the wine to the table, saving some back and forth. Resy is completely run via mobile technology, from a tablet at the host station to wearable tech on the managers and sommeliers, and can eliminate the need for a POS kiosk. Meyer has made the decision that servers will not be on the Resy system at this point in time. While this system might be a reach for many smaller restaurants to incorporate, the idea of using new tech in your restaurant may be more accessible that you think. Check out some of our round ups of best tech for local businesses to learn more.